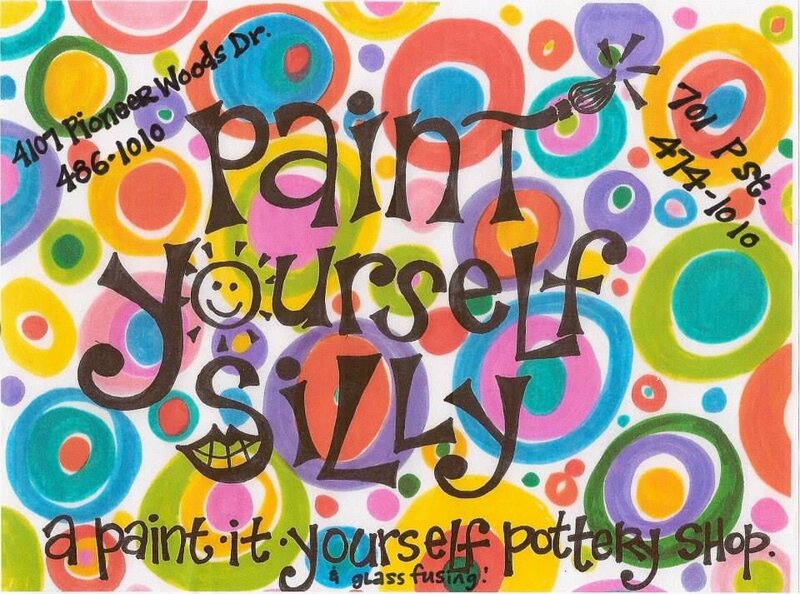 Paint Yourself Silly is a paint your own pottery studio that provides customers of all ages with a creative outlet. Jenn, owner, started the first Paint Yourself Silly in the year 2000 and a second location followed in 2007. The process is simple; you choose your pottery, pick your paints, let your creative juices flow, and then leave the firing to them. Paint Yourself Silly offers three locations. The first location, Haymarket, is located inside the Creamery Building in the Historic Haymarket at 701 P Street, Suite #103. The second location, Pioneers, is located at 70th and Pioneers at 4101 Pioneer Woods Drive, Suite #106. Our newest location is now open at 1501 Pine Lake Rd. #24. In addition to creating your own pottery, Paint Yourself Silly offers a place to host events or attend existing events hosted by Paint Yourself Silly. It’s a perfect place for birthday parties, daycare outings and team building events. If you are looking for something to do you can sign up for events such as: Wine & Design, Preschool Paint and Storytime, Pajama Night, Humpday Slumpday, Summer Art Camp, or Friendy Fridays. Other specials and events run throughout the week. Paint Yourself Silly also offers unique gifts, gift cards, shipping options, glass fusing, and artwork for purchase. Paint Yourself Silly is a great place for gathering for people of all ages! Come on down and paint. No appointment necessary. See what's coming up on the Silly calendar! Every Wednesday, receive FREE slumping on your "glass"terpiece. A five dollar value! On the Third Thursday of every month from 6:00-9:00 PM, we'll walk you through step-by-step to create your own wonderful version of our project of the month ($12+ pottery). Adult beverages by Meier's Cork & Bottle are available for purchase! Check us out on Facebook for the this month's project. Pioneer Woods location only. Every Thursday at 10:30 we read a story and paint a project to go along with it. Pioneer Woods location only. Bring a friend, bring a date, and paint 2 for the price of 1! Every Friday from 6-9 PM at both locations.